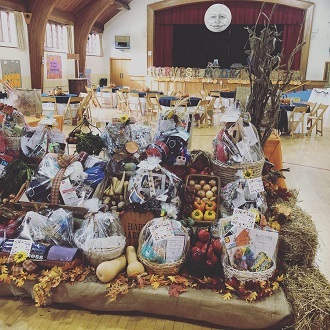 Nov. 28, 2018: The Reformed Church Nursery School’s Annual Harvest Moon Festival was held on Saturday, October 27, and was an incredible success. 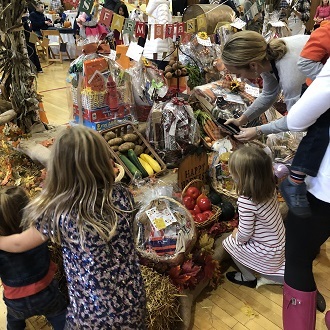 With a strong turnout, families from both RCNS and the Bronxville community came together for a fun-filled day to celebrate the fall season. Because of the weather, all activities were moved indoors and included raffles, games, crafts, food, a silent auction, and a petting zoo. 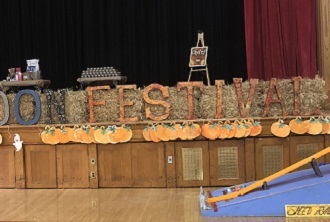 The amazing efforts and talents of the RCNS parents made the Harvest Moon Festival possible, and all of the funds raised support the activities of the nursery school. 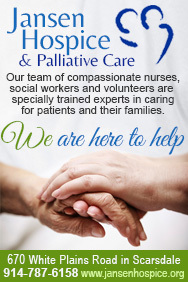 The Harvest Moon Festival was also a success in large part because of our community sponsors: Augustyn Renovations, Houlihan Lawrence, Main Street Pediatric Dentistry, Nature’s Cradle, NewYork-Presbyterian Lawrence Hospital, Pete’s Park Place Tavern, Park Place Bagels, and Value Drugs Eastchester.